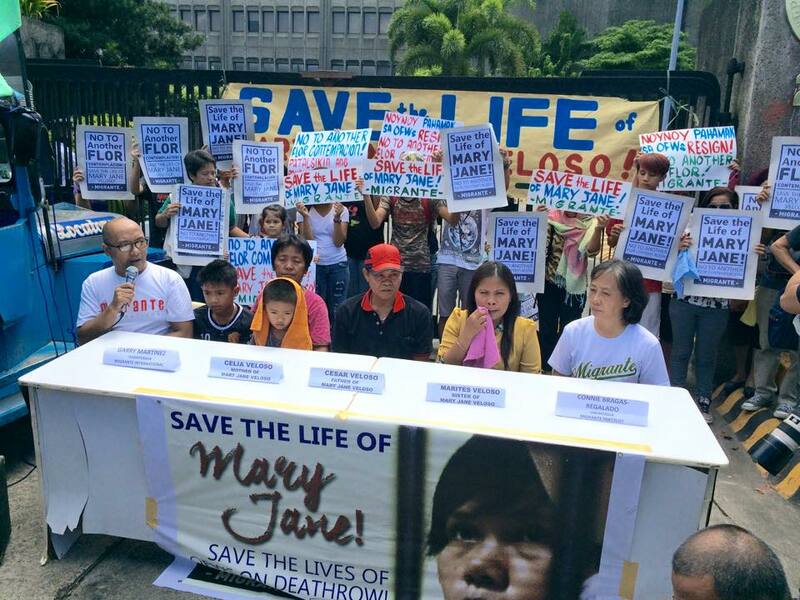 Still in the spirit of transparency, we are re-releasing the sworn and notarized affidavits of Celia, Cesar and Maritess Veloso, Mary Jane’s mother, father and sister, respectively. These affidavits were first made public during the press conference of Mary Jane’s PH legal team, led by the National Union of People’s Lawyers (NUPL), last April 20 at the Integrated Bar of the Philippines (IBP). Attached herewith, with English translations. This entry was posted in News, References and tagged Marites Veloso, Maritess Veloso, Migrante International, Nanay Celia, Tatay Cesar. Bookmark the permalink.